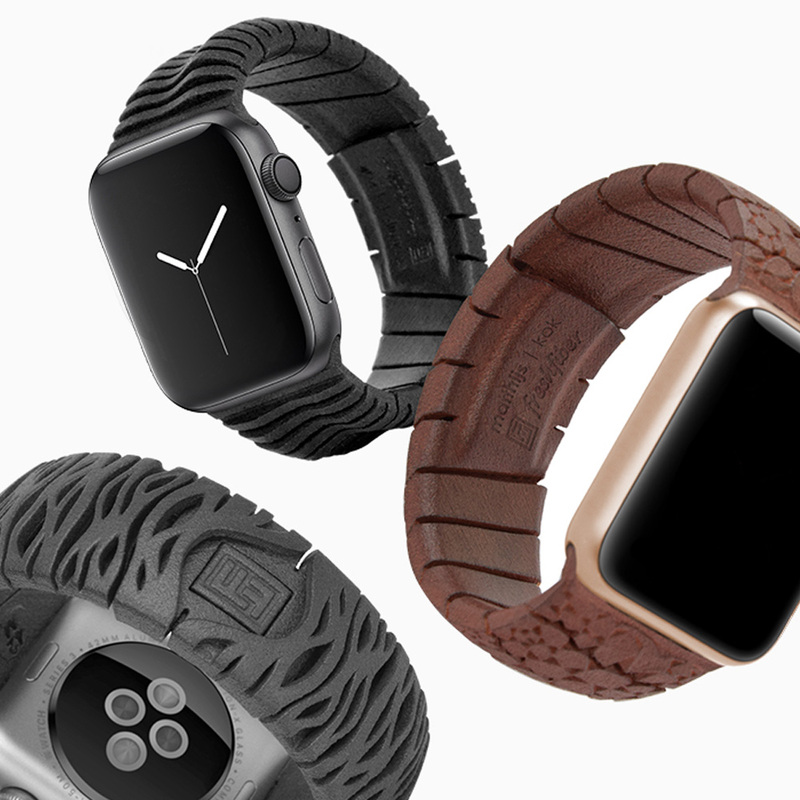 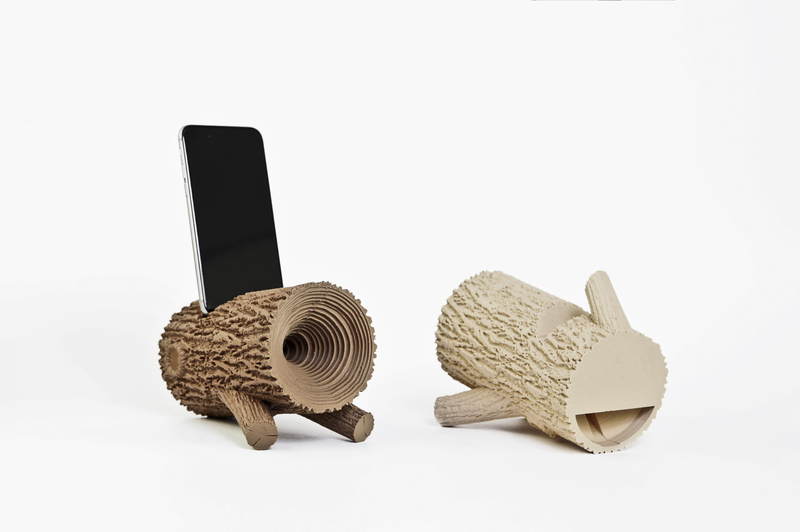 3D printed in a wood composite filament. 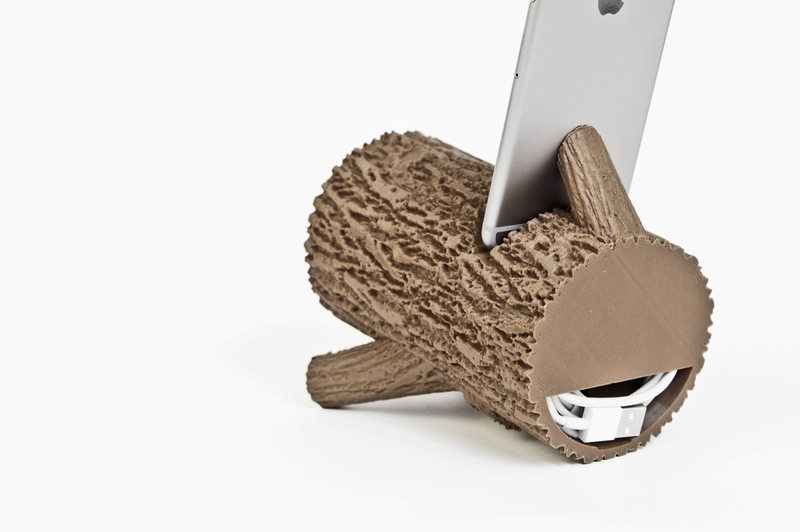 At home, in the park or in the woods, you can use this 3D printed Phone Amplifier anywhere you go. 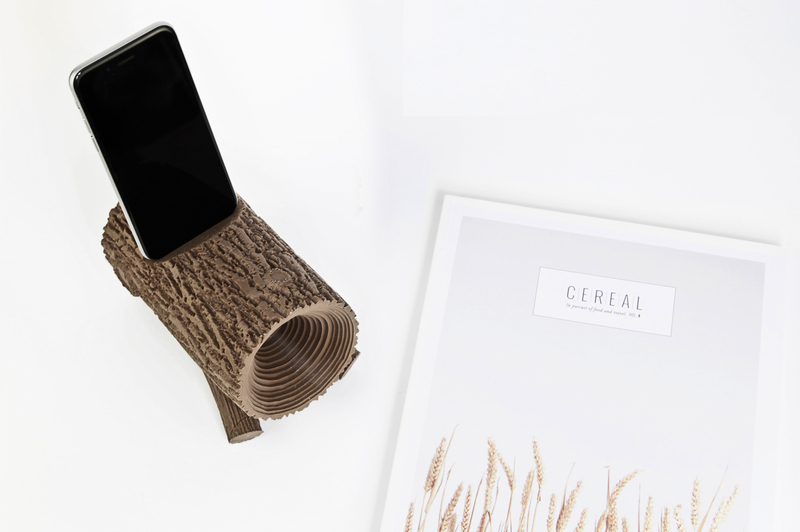 The descending growth rings amplify the smartphone’s built-in speaker, boosting your smartphone’s volume up to four times, all without requiring electronic components. 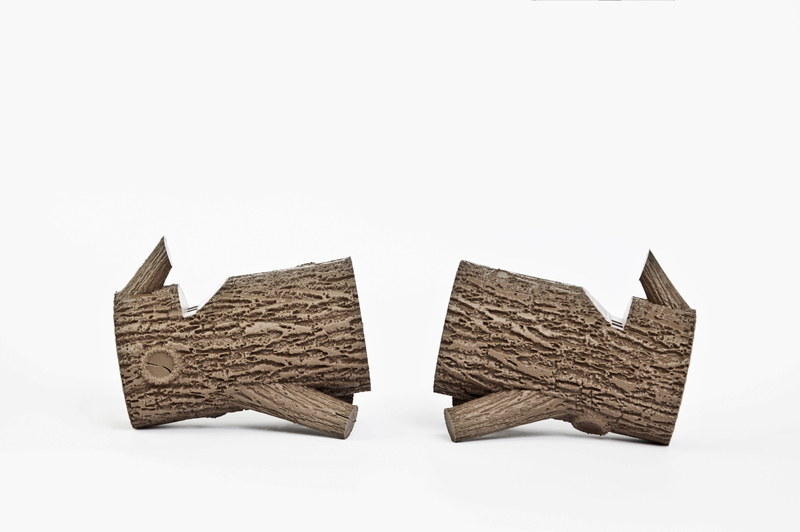 3D printing in wood opens the possibility of making complex wooden shapes which are not doable with traditional production techniques for wood. 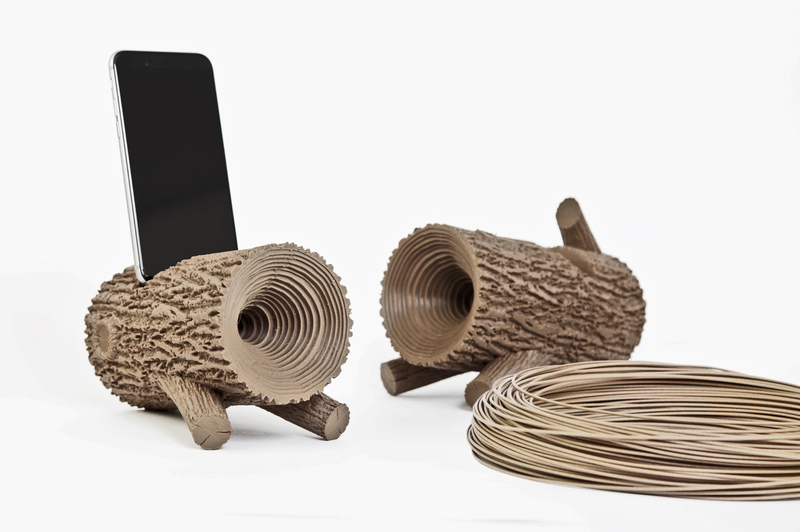 Additionally, wood offers a lot of acoustic benefits compared to the more regular 3D printing materials such as plastics. 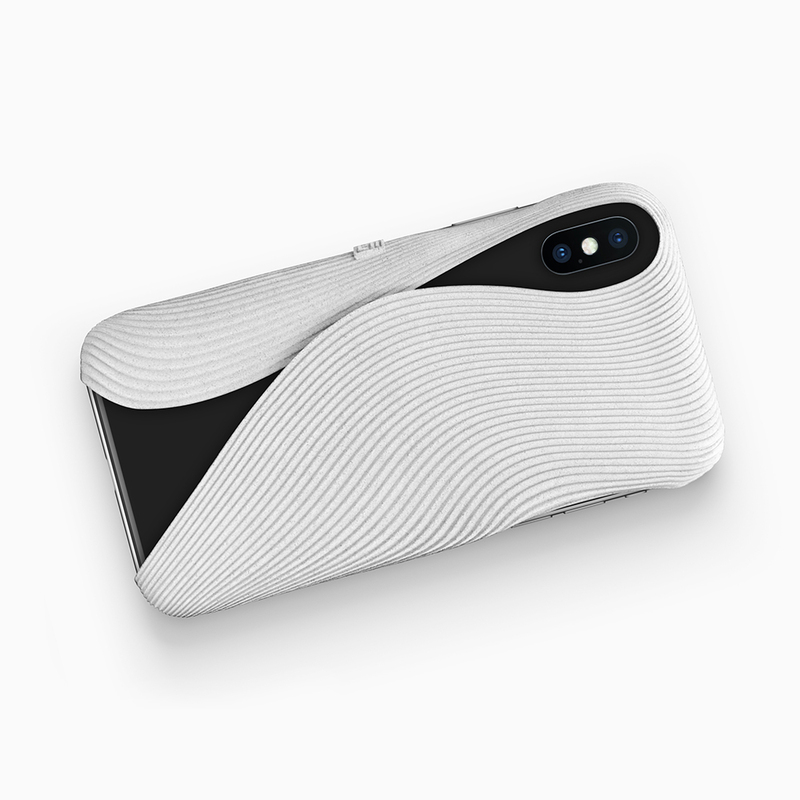 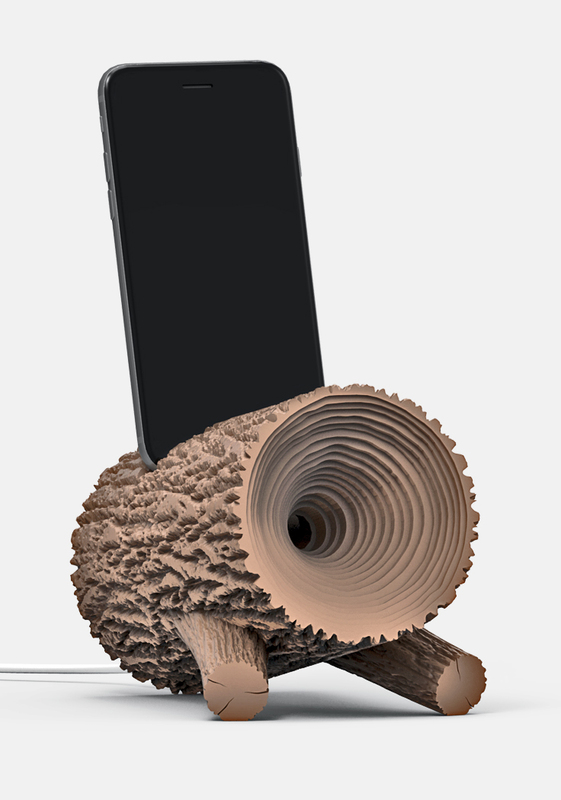 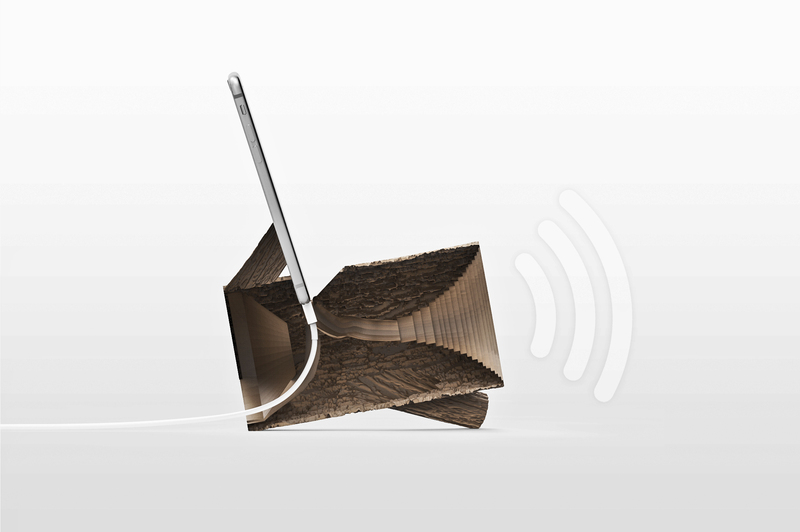 The Tree Trunk Amplifier can boost the smartphone’s volume because of the gramophone-like funnel shape of the growth rings, which amplify the phone’s built-in speaker. 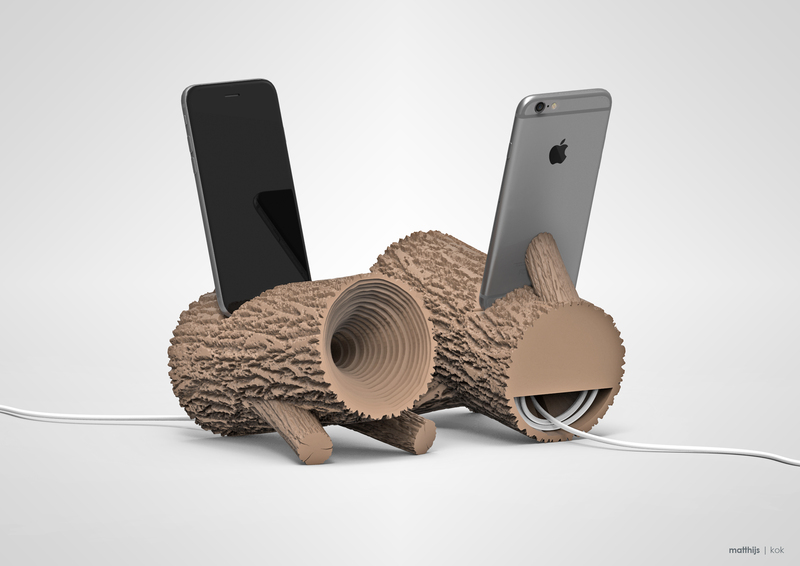 The speaker can be used as a docking station as well, with an opening for an USB charger. 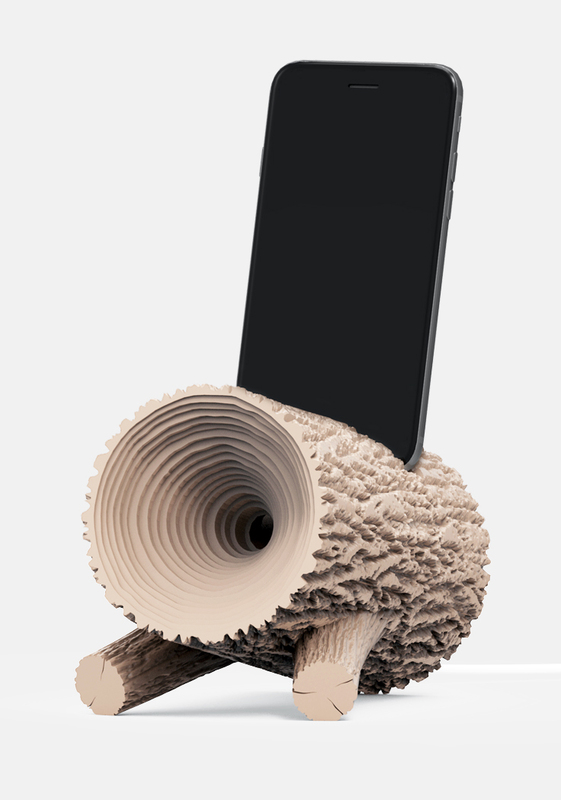 Next to the acoustic and non-electric benefits is the phone amplifier light in weight, so it’s portable, so you can create atmosphere wherever you go.